I have been out of the country and I’m having a heck of a time settling back into life in the Duv. It’s hard not to have a pastry in my hand at all times. I mean, I know where I could get one, but it’s still hard. So, I apologize for the gap in posting. 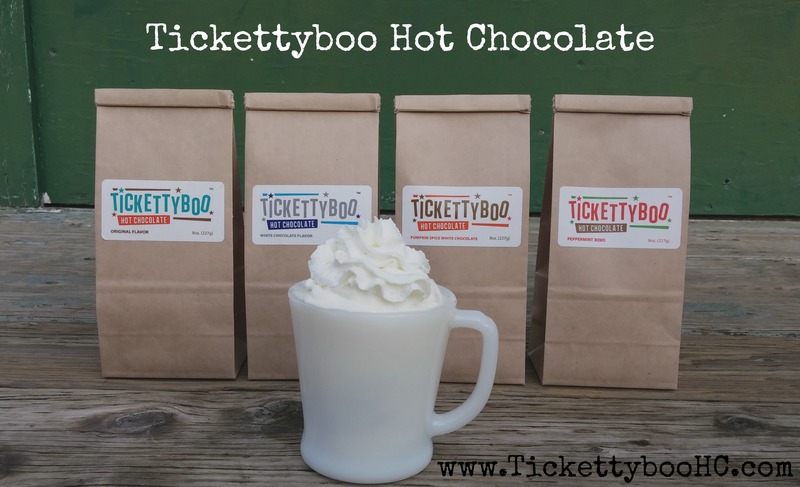 It’s Tuesday, but there’s still stuff happening around town. The second safest city in Washington. There are concerts and events happening all week in the Riverview School District. Check the calendar. Don’t be the parent who misses the chance to see her first grader dressed up like a zebra, singing about dinosaurs. Rustic Rose is hosting a Boho Felt Flower PAINT & SIP on Friday night. What. You learn how to paint a cute Teepee on a wood board and how to make felt flowers. Snacks and wine or beer are included. Don’t sip the paint. This Saturday afternoon, if you’re not hosting a birthday party for my son, go down to the Duvall Library and learn to paint crows, ravens, and jays. Then come over and teach me your ways. Filed Under: Arts, Community, Duvall Days, Events, Riverview School District, What Are You Doing Duvall? Do you appreciate teachers?! Then show it. This week is Teacher Appreciation week, so let’s do all we can to help those teachers know how much we love and appreciate their hard work and dedication. Check with your school’s PTA to see what they have planned or just go rogue and get all grateful on your own. So predictable. The City Council plans to meet AGAIN this Tuesday May 2nd. You can join them or just wait two weeks. They’ll probably give a repeat performance. They always do. Get your beatnik snap fingers ready because Wednesday May 3rd is Duvall Poetry Night at the Duvall Library. You like to spit a verse betimes with your friends? Slow down your rap and it’s poetry! You’re welcome to share. 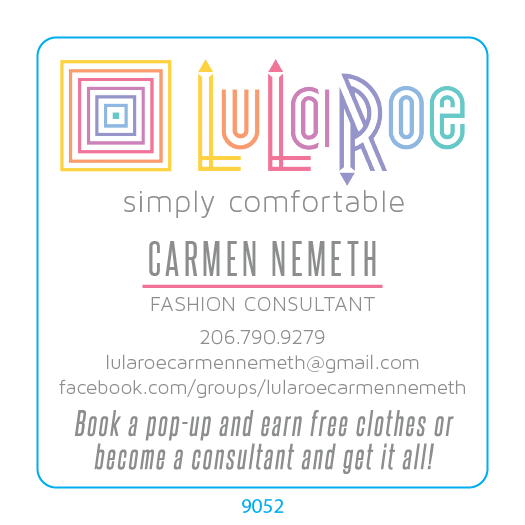 It’s MARKET TIME! The Duvall Farmer’s Market is starting again. This Thursday and every Thursday through October 12th from 3-7pm. Come down and see the amazing food and crafts our valley residents produce. There’s often live music and activities for kids. You will love the market. It’s located on Brown Ave between NE Richardson & NE Ring. If you didn’t make it out last week, check out Cedarcrest High School’s Production of Little Shop of Horrors, playing this week on Thursday, Friday, and Saturday. This should be a fun one for the family. They always do a great job. Black Bears & Other Large Native Carnivores. Oh my! Come learn about them with Western Wildlife Outreach at the Duvall Library this Saturday from 10am-12:30pm. Saturday from 10am-3pm, Northwest Arts Center will be housing a Spring Makers’ Market from a curated group of local artists called Duvall Handmade. Beautiful, arts, jewelry, and crafts will be on sale just in time for Mother’s Day. 15705 Main Street NE in Duvall. CHS DECA is hosting a father/daughter dance on Saturday May 6th. So much cuteness. I’ve noticed the owners of Cherry Valley Winery don’t like to drink alone. If you’d like to join them for a taste, their wine tasting room is open this Saturday from 12-5pm. Filed Under: Arts, Community, Events, What Are You Doing Duvall? The Riverview School Board meets on Tuesday night at 7pm. Join them or suffer the consequences of your own disengagement. Thursday is a great day for a plant sale party. It’s a plant sale to benefit the Cedarcrest High School FFA team going to State Competition. There will be food and prizes and all kinds of fun. Support the kids. Get your plants for spring. Hang out with friends. Tickets are $15. Counting down the days until Duvall Days and hoping for a small community carnival to tide you over until the big show in June? Little League has you covered. The annual Sno-Valley North Little League Jamboree takes place this Saturday at Cedarcrest High School from 9-2. It’s a fun carnival with games, activities, concessions, face painting, bouncy house, and an auction. There are also several live games to watch throughout the day. Come one, come all. It’s a fun one. What I’m most excited for this week is the Free Shredding Event on Saturday, sponsored by The Irwin Group. From 11am-2pm, bring any private or personally incriminating papers to the Duvall Family Drugs parking lot for free shredding services. Cedarcrest High School’s Production of Little Shop of Horrors is playing this weekend and next weekend on Friday and Saturday. This should be a fun one for the family. They always do a great job. As a special bonus – it features some 80’s silk flowers I donated… so I’m pretty much the star of the show. On Sunday, April 30th from 1-4 you can go to Northwest Art Center and paint your own pottery for Mother’s Day. Remember when you used to do this every year in elementary school? Maybe your mom is interested in a plate with your 40-year-old man handprint on it. If so, do this. What’s the Deal with the Thayer Barn? I’ll come clean here and tell you I have not paid much attention to what’s been going on with the Thayer Barn. I know where it is. I’ve seen the beautiful art around town. I know Duvall loves the Thayer Barn and citizens have donated a ton of money to hopefully restore it. Remember in Back to the Future, how people would interrupt Marty McFly making out with his girlfriend, and ask him to donate money to, “SAVE THE CLOCK TOWER”? The Thayer Barn is Duvall’s clock tower. Minus the making out. And the time travel. Everyone talks about Thayer Barn as though we all know about it, so you feel silly asking for details. So, over the past few weeks I researched online and spoke to experts and I think I’m qualified to give a brief introduction to the project and an update on the current status. I’ve included several links in this post so you can read ALL the details of the nearly 30-year saga. I’m giving you the condensed version. What is the Thayer Barn? The Thayer Barn, now largely dismantled, rests on Highway 203 diagonally across from the Starbucks complex. It was a kit barn, built in the 1930s by the Thayer Family for their dairy cows. Kit barns are cool. They were ordered by catalog and assembled onsite. This one came from Sears and Roebuck a year before they stopped selling them. People in Duvall love this barn. 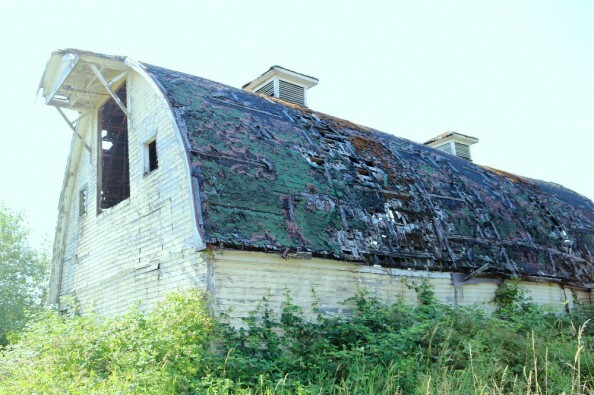 As of 2002 it was the last dairy barn still standing within the Duvall City Limits. At that point, the Duvall Arts Commission* had already been dreaming and planning for 10 years to convert the old girl into a community art center. 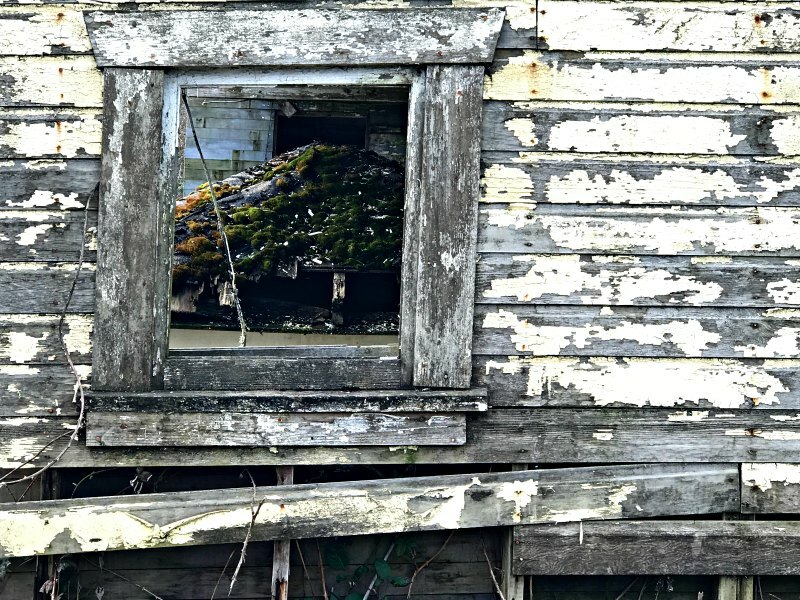 To the people of Duvall, the barn represents our heritage as an agricultural community and it connects us to our past. It’s a gorgeous reminder of our roots and people are passionate about preserving it. What Will the Thayer Barn Become? Duvall Foundation for the Arts is currently working to convert the Thayer Barn into a community art center. This process officially began in 2000 when the developer who owned the land signed an agreement with the City of Duvall, stating that they would donate the building and a parcel of land to create a city art center/parks department in the middle of their new development. They had 10 years to make it happen. The city agreed to put up $200,000 toward the project and in just 4 months DFA raised the $100,000 they had committed to contribute. Then for the next several years, the developer was on-again/off-again about moving forward with the project. All this time, the barn continued to decay. Time was of the essence and the project took a lot of it. As the development plans fell apart, the project stalled indefinitely. Since the project had taken so long to get off the ground, some of those early donors requested their money back, but all the remaining funds are still set aside for the project. 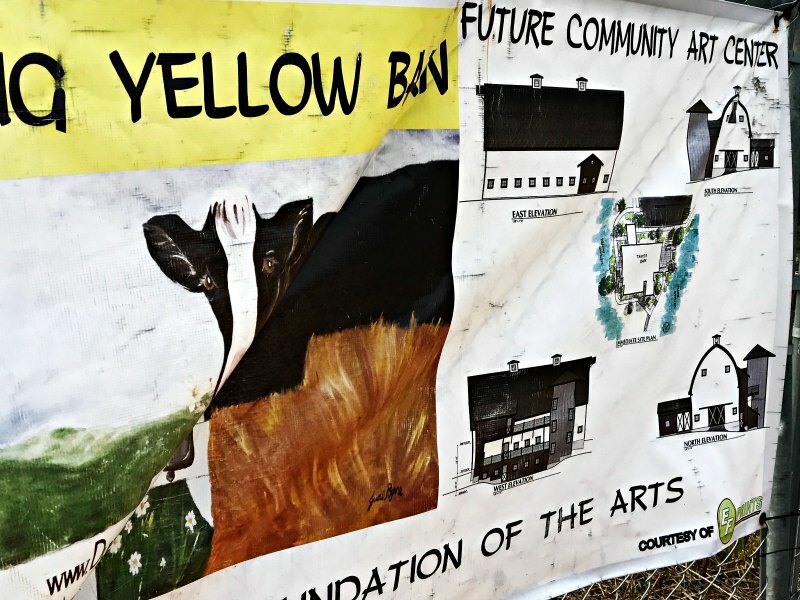 Then, in late 2013 a new developer planned to purchase the property, and Duvall Foundation for the Arts picked up the torch and again began talks with the city and the new developer (Westcott Homes) to restart the community art center project. And it’s happening. It’s just really slow because there are so many steps that need to happen all in the right order. In order for DFA to apply for additional grant money to build the center, they need to own the land. In order for Westcott homes to deed the land to DFA/The City of Duvall, they have to separate the land into parcels. They can’t separate the land into parcels until they have water/sewer/other infrastructure in place. 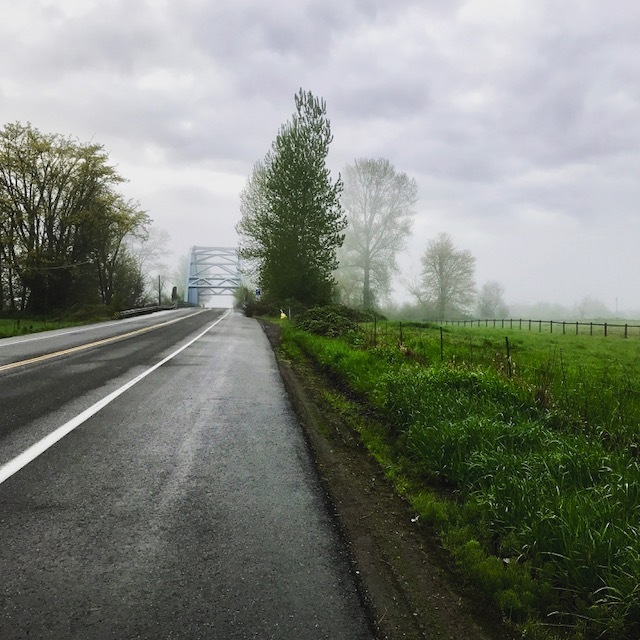 In order for Westcott to get the infrastructure built, they need the City of Duvall to approve the plans for their development. Project Manager Elizabeth Hill hopes the city will approve the plans so they can begin installing the infrastructure this summer because there is a small window when this kind of work can be done successfully. If they don’t get the plans approved in time to do it this summer, they’ll likely have to wait until the summer of 2018. Fingers crossed, City of Duvall! You may have driven by the barn recently and noticed… it’s not standing anymore. You’re right. 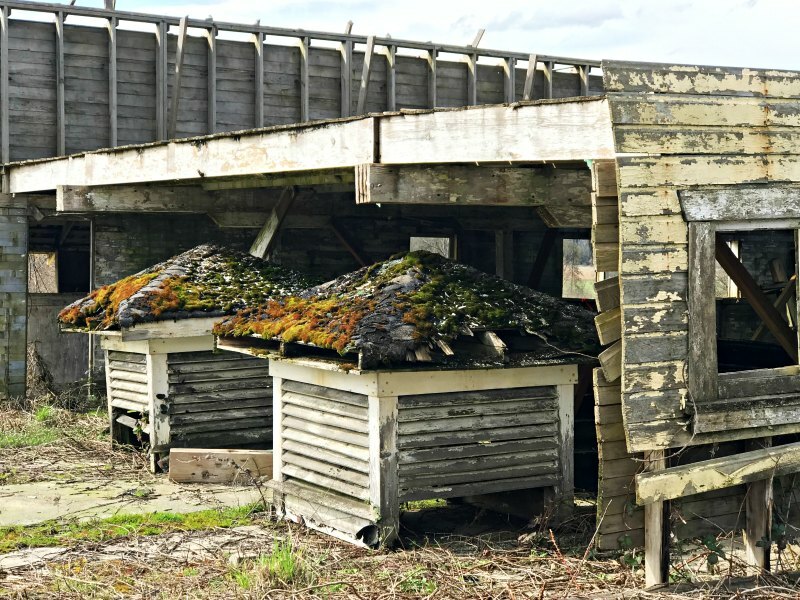 The barn continued to decay and in 2015 it had to be dismantled. “So, how can they turn it into a community art center?” you might ask. Good question. It’s not going to be turned into a community art center so much as it’s going to be honored and partially preserved in a community art center. 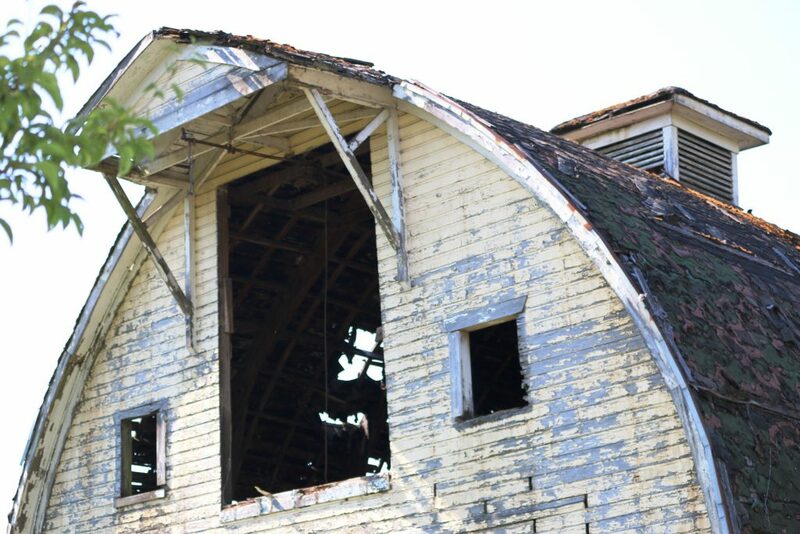 Plans are currently in place to preserve what remains of the Thayer Barn and pieces of it will be used in the interior structure of the new community art center, which will be built in a similar style. Specifically, they hope to install the north face of the barn in the upstairs interior of the new building. Here’s a link to the preliminary plans. They’re currently seeking community input about how to design the interior of the building to meet the artistic needs of the community. Meetings are from 11-1 most Saturdays at Match Coffee and Wine Bar. You can email DFA with questions or input. Personally, I’m excited to see a beautiful location for local theater and dance productions and a gallery space for local artists. 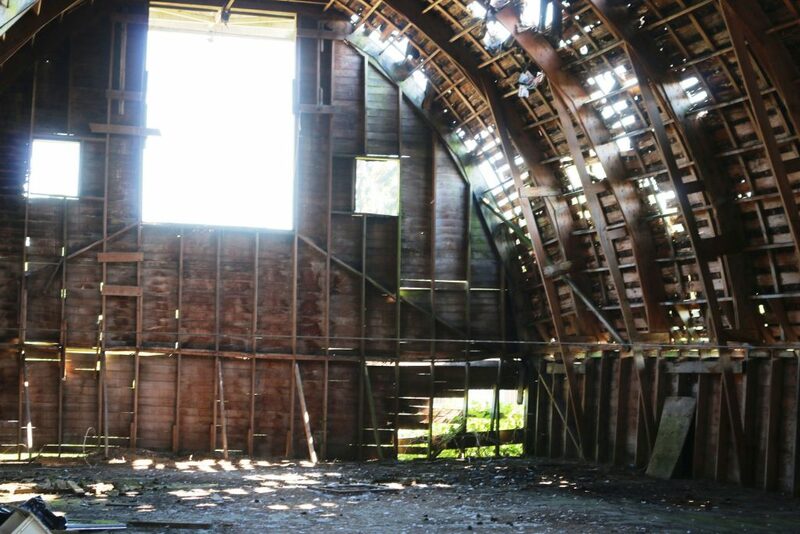 To preserve what remains of the barn, plans are moving forward to install a massive cover. 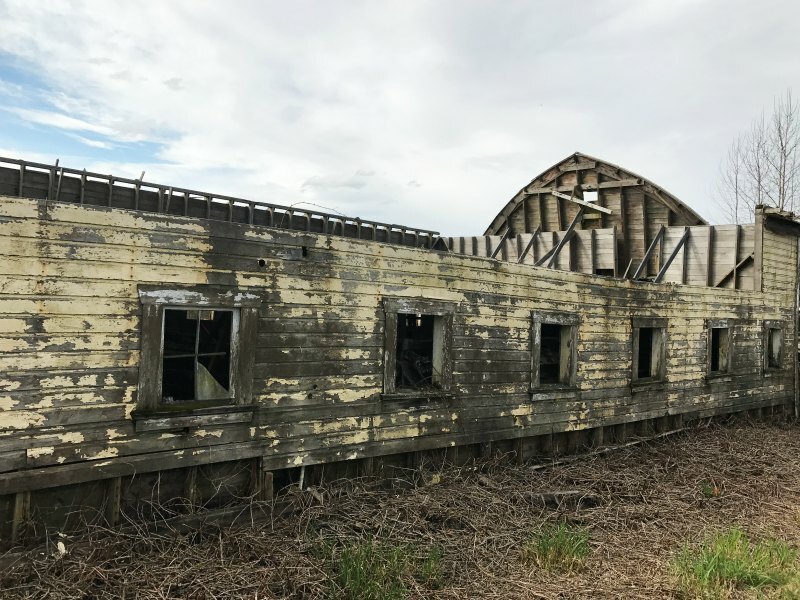 The cover needs a moveable ecology block foundation to be built to hold it in place and it will be installed by Dan Cook, the same contractor who disassembled the barn and preserved the north face. When the foundation’s in place, the cover supplier will install the cover. It’s just a ton of work and I’m amazed at how well it’s all coming together. What a persistent team of volunteers and what an awesome legacy they’re building! The designs have been created with the developer who’s building the condo development. When it’s completed, the city will own the utilities, road, sidewalks, and parking lot. Duvall Foundation for the Arts will own the land and the building. If you’d like to contribute to the project, you can do so from their website and, since they’re a 501c3, they’re eligible for corporate matching. They also have a few of these beautiful giclee prints of a painting by Vicki Perry available for $50 each (unframed) or $250 (framed). Anyone interested should contact Deanna. Currently the best place to go for project updates is this page, last updated in March of 2017. Elizabeth says future updates will be uploaded there. 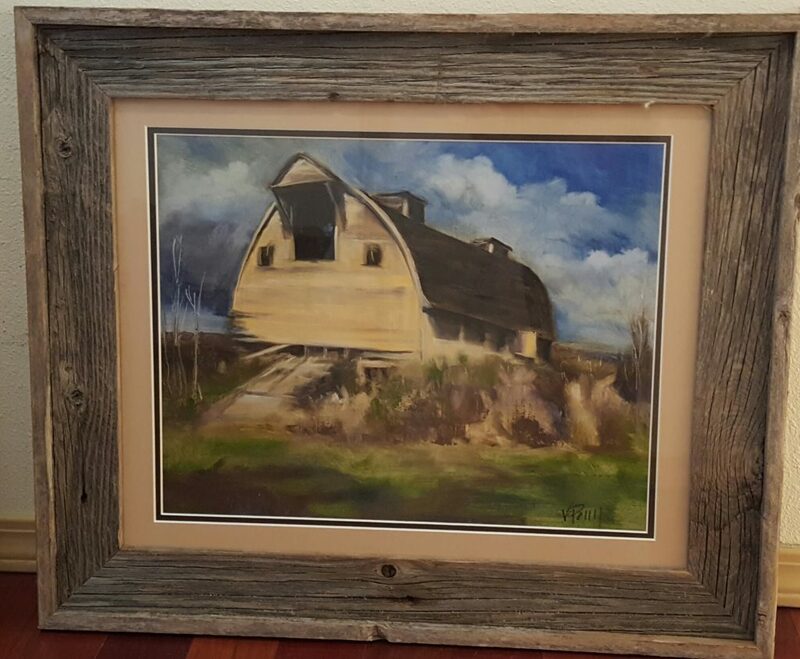 “The Duvall Arts Commission was formed when the barn project was first imagined by Sunny Ruthchild. The idea of the Arts Commission was to support the development of an arts center and the arts in general. I was appointed along with others to that first Art Commission. Relatively quickly after that it became clear that what we really needed was an Art Foundation because the Commission was not a non-profit and therefore could not give potential donors receipts for tax deductions. Also, the commission was associated with the City and could not actively fundraise for the art center. We looked around to see what other communities had done to address these challenges and then developed Duvall Foundation of the Arts. It was Huston Barclay who did the work to establish DFA as a 501C3 to raise money for the arts center/barn project and for the arts in general. “Later the City morphed the Arts Commission into the Cultural Commission.